Apple has just kicked off its 2014 WWDC with chief executive Tim Cook appearing in front of a cheering crowd of developers. "We're here all week to celebrate our developers and the amazing apps they're creating," Cook said to kick off the conference. What followed was a quick update on figures that we share with you. 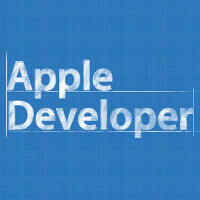 Apple announced that it now has over 9 million registered developers, up nearly 50% since last year. This is a huge developer community, and in fact, the growth for last year is the fastest growth in devs for Apple so far. "Our youngest person in the audience is 13. We're going to be seeing apps from them for a long time," Apple executives joked on stage. The latest tidbit that the company shared is that two thirds of the visitors at WWDC are here for the first time. Not bad, is it? If you want $$$, develop apps for iOS. And Android. Good developers do both. Right now apple have more than 150$ billion in cash. The 50% increase in iDevelopers explains the enormous increase in crap apps and clone apps.